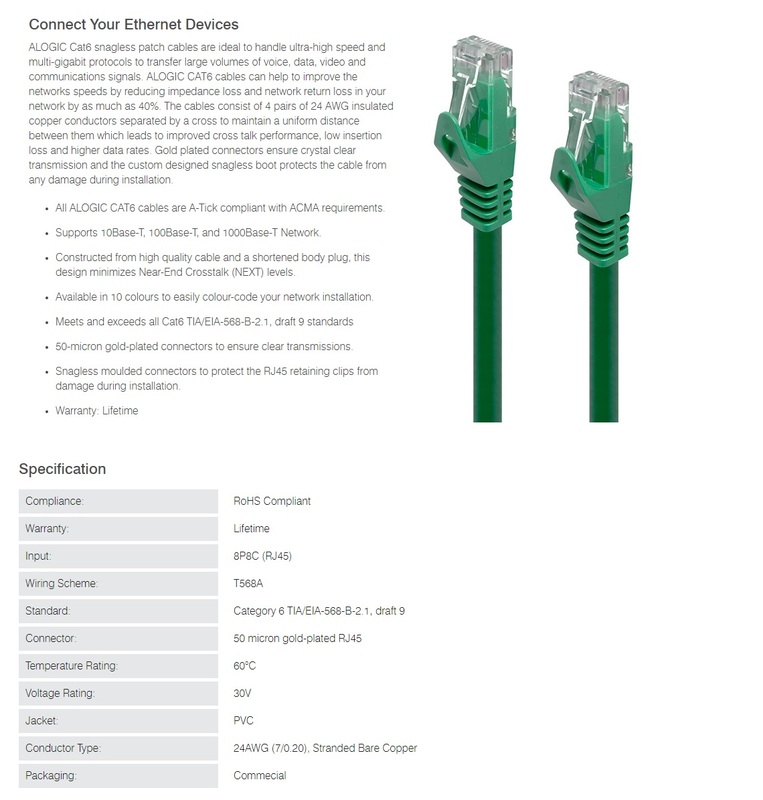 ALOGIC Cat6 snagless patch cables are ideal to handle ultra-high speed and multi-gigabit protocols to transfer large volumes of voice, data, video and communications signals. ALOGIC CAT6 cables can help to improve the networks speeds by reducing impedance loss and network return loss in your network by as much as 4 %. The cables consist of 4 pairs of 24 AWG insulated copper conductors separated by a cross to maintain a uniform distance between them which leads to improved cross talk performance, low insertion loss and higher data rates. Gold plated connectors ensure crystal clear transmission and the custom designed snagless boot protects the cable from any damage during installation.